My family have been a fan of Clark Howard ever since we first heard him on AM750 and 95.5 FM News/Talk WSB radio. He has become one of the best consumer advocate expert of the nation. 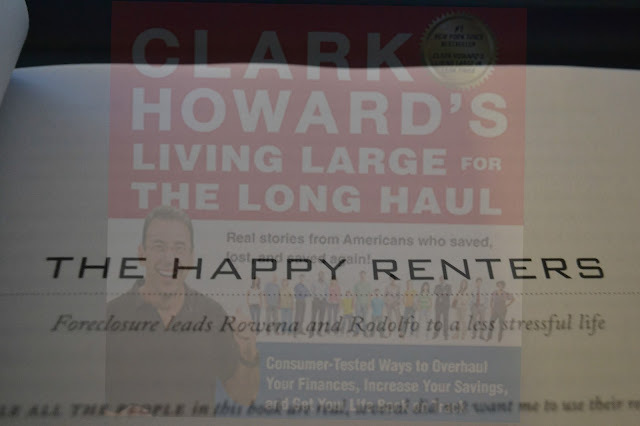 What's great about Clark Howard is that he practices what he preaches. Frugality is not something to be ashamed off. Being money smart, avoiding rip-offs and learning to save and invest your money wisely is a critical skill in today's fragile and unstable economy. Americans from all walks of life are still feeling the roller-coaster effects of the Great Recession. For many, home values are still too low and unemployment is still too high. Others have prospered despite the ups and downs. 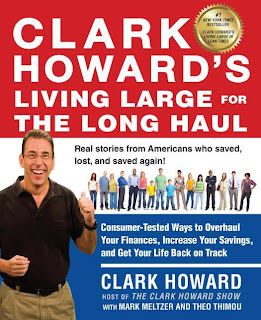 In Clark Howard s Living Large for the Long Haul, the renowned broadcaster examines our new paradigm through the eyes of those whose financial portfolios have beaten the odds, and those whose economic situation has gone off course. Through these fascinating personal accounts, readers uncover amazing opportunities and smart decisions, finding advantages in bleak times for lasting payoffs in the long run. The beauty about this book is that it is full of inspirational stories. If you love reading Chicken Soup for The Soul you are going to love this book. The book has 14 chapters (Credit, Homes and Real Estate, Cars, Technology, Retirement, Investing Energy, Living Below Your Means, Entrepreneurship, Travel, Family, Health Care, Working and Learning, and The Empowered Consumer). Each chapter contains 3 different stories. What I love the most about the book, is how Mr. Clark ends each story with questions like: What ideas (from the story) can you apply to your life? What lessons did you learn from this? He then gives his expert advice on what to do (and not to do) if you are facing a similar situation. The book is worth every penny so I wouldn't be surprised if it makes it to #1 soon. Excerpts from the first three chapters of Clark's book are now up on Amazon! The book is available at Costco, Walmart, Barnes & Noble and at online retailers like Amazon and iTunes. Dislousure: I received a complementary copy of this book, I was not compensated for this post. All opinions expressed are my own. This post contains an affiliate link.